Stiletto-guru, Manolo Blahnik, will receive the award for Outstanding Achievement at the British Fashion Awards on Monday, November 27th in London. The award honors one designer who has made an impact and inspired the fashion industry throughout his or her career, and well, there's no denying that Blahnik has changed the way women view heels (with a little help from Carrie Bradshaw). 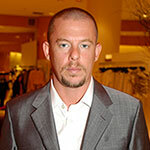 Other designers nominated for this year's British Fashion Awards include Alexander McQueen, Stella McCartney, and Christopher Kane. So, while the stylish awards are taking place, we'll still be working off our Turkey Day feast, but with even that much more appreciation for the Manolos strapped to our feet.